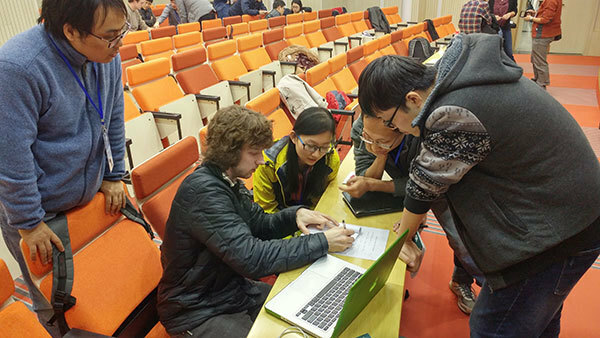 In December 2016, four graduate students from the NSL traveled to Shanghai, China to participate in the joint CNA/JINA-CEE Winter School on Nuclear Astrophysics. The focus of the school was to enhance international collaborations among young researchers from nuclear physics, astrophysics, and astronomical observations. Bryce Frentz, Chris Seymour, Qian Liu, and Yingying Chen spent a week at Shanghai Jiao-Tong University’s historic downtown campus, learning about nuclear astrophysics research topics of interest to both the U.S. and Chinese scientific communities. The speakers detailed the current state of nuclear astrophysics problems, such as stellar nucleosynthesis, neutrino physics, x-ray bursts, and explosive nucleosynthesis, and the new facilities aiming to solve them, such as underground laboratories and FRIB. 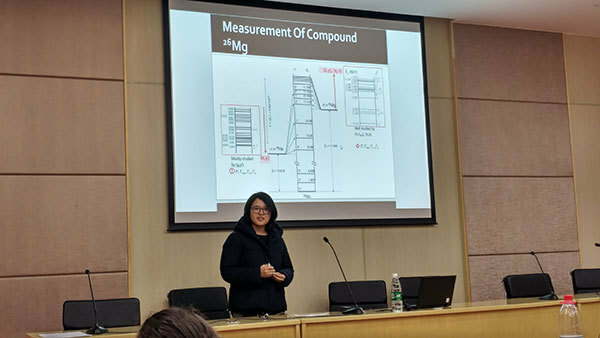 While the school consisted primarily of invited talks, Liu and Chen were also among the student participants selected to present their research. 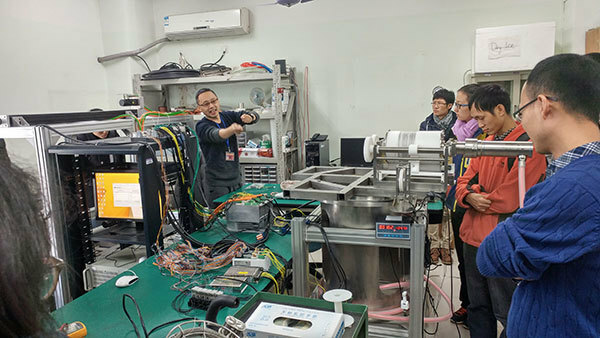 Additionally, the participants took a day trip to SJTU’s main campus to tour the laboratories, where they met with scientists creating the detectors for the PandaX dark matter search and the Jiangmen Underground Neutrino Observatory (JUNO). Originally published by Janet Weikel at isnap.nd.edu on February 24, 2017.